Make world-changing handprints: Have your children trace the shape of their hands on white paper and, with your supervision, cut them out. Next, allow them to paint these prints with their favorite colors. Once dry, ask them how—like Martin Luther King, Jr.—they would change the world and help them write out their responses. 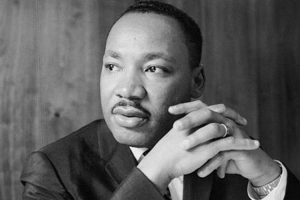 Share dreams for the future: As parents, we understand the importance of Martin Luther King’s famous “I Have a Dream” speech. Share this message with your children by watching the video on YouTube or reading it out loud together. Take the opportunity to discuss the meaning of peace, freedom, equality and social justice as a family. Once you’re finished, ask your children to write their dreams down to put in a jar they can revisit each year. Instill tolerance: Hold up a brown and white egg for your children and ask them to point out the differences. Next, crack the eggs into different bowls to show how they’re all the same on the inside. This will help reinforce the message of equality. Then put those cracked eggs to good use by making Martin Luther King, Jr. a birthday cake and discussing why it’s important to celebrate his legacy every year. Have questions about educational activities you can do at home? Contact Kids for the Future’s therapists at 870-633-1737.